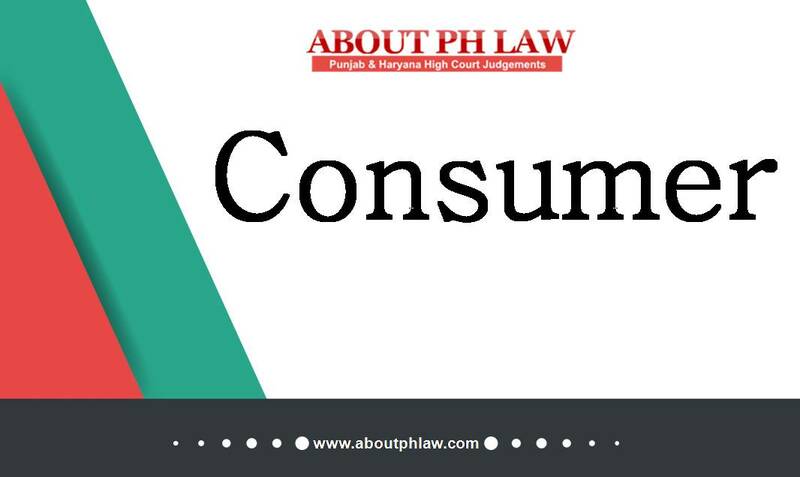 Consumer Protection Act, 1986, S.12–lnsurance–Theft of Vehicle-Delay of 21/2 months in giving intimation of theft by insured to insurer-It amounts to breach of policy-­Insured was obligated to give intimation immediately after theft came to his knowledge-Mere intimating the police or lodging FIR does not amount to sufficient compliance-Claim held to be rightly repudiated. By phlaw| 2017-07-11T17:08:53+00:00 July 11th, 2017|Consumer Cases|Comments Off on Consumer Protection Act, 1986, S.12–lnsurance–Theft of Vehicle-Delay of 21/2 months in giving intimation of theft by insured to insurer-It amounts to breach of policy-­Insured was obligated to give intimation immediately after theft came to his knowledge-Mere intimating the police or lodging FIR does not amount to sufficient compliance-Claim held to be rightly repudiated. Consumer—A Trust is not a person and therefore not a consumer. August 14th, 2018 | Comments Off on Consumer—A Trust is not a person and therefore not a consumer. Insurance—Theft of Vehicle—Lift given to strangers, who later stole the truck—Insurance Company held liable to pay. July 30th, 2018 | Comments Off on Insurance—Theft of Vehicle—Lift given to strangers, who later stole the truck—Insurance Company held liable to pay. Medical Negligence-Plastic Surgery-Failure to get the biopsy done indicates that doctors did not exercise reasonable degree of skill and knowledge which was expected in such cases-Compensation of Rs. 10 lakh awarded. August 11th, 2017 | Comments Off on Medical Negligence-Plastic Surgery-Failure to get the biopsy done indicates that doctors did not exercise reasonable degree of skill and knowledge which was expected in such cases-Compensation of Rs. 10 lakh awarded. Consumer—Courier Service—No proof of delivery of goods is available— Therefore, a case of continuing cause of action. August 11th, 2017 | Comments Off on Consumer—Courier Service—No proof of delivery of goods is available— Therefore, a case of continuing cause of action. Insurance—Interest on claim—Delay in Surveyor’s Report—Insurer, therefore, must compensate the insured for this deficiency in the service. August 10th, 2017 | Comments Off on Insurance—Interest on claim—Delay in Surveyor’s Report—Insurer, therefore, must compensate the insured for this deficiency in the service. Consumer Protection Act, 1986, S.12–Education–Misleading advertisement-Institute did not file any documentary evidence that it was recognized by the Government in any manner and was affiliated with any state or central university-Contention that Diploma Course in Veterinary pharmacy is not governed by any statute; not accepted-Order directing refund of fee with interest upheld. August 10th, 2017 | Comments Off on Consumer Protection Act, 1986, S.12–Education–Misleading advertisement-Institute did not file any documentary evidence that it was recognized by the Government in any manner and was affiliated with any state or central university-Contention that Diploma Course in Veterinary pharmacy is not governed by any statute; not accepted-Order directing refund of fee with interest upheld.